PC maker HP is said to still be considering the sale of its webOS mobile operating system, though any deal is expected to be less than the $1.2 billion it originally paid to acquire the platform from Palm. Citing four anonymous sources, Reuters has said that HP is evaluating the sale of webOS for a price that could fetch hundreds of millions of dollars. While "several" companies are said to have expressed interest, Oracle Corp is said to be among the most likely buyers. The report said that HP is being advised by Bank of America Merrill Lynch as it weighs the pros and cons of keeping webOS or selling off the software. Neither HP or Bank of America would comment. HP bought Palm in April of 2010 for $1.2 billion, an investment made largely to acquire the webOS platform that powers smartphones like the Palm Pre. 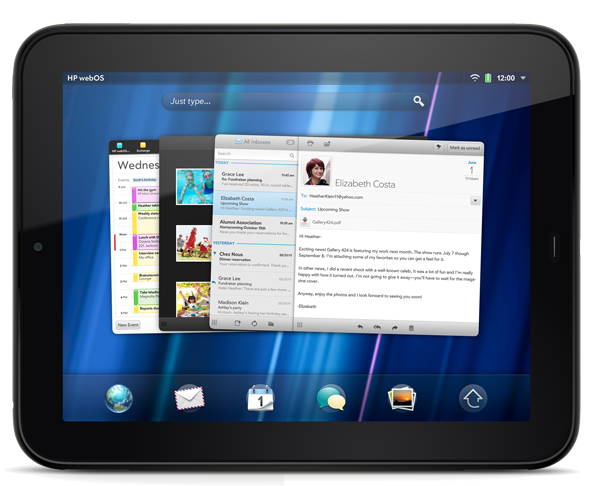 The webOS mobile operating system was then updated to run on tablets, as HP hoped to compete with Apple's highly successful iPad. But HP's first and only webOS-based tablet device, the TouchPad, failed to gain any traction in the market, and the PC maker opted to abandon the device, clearing out inventory with a $99 fire sale. Since then, HP fired its CEO Leo Apotheker and brought in a new chief executive, Meg Whitman, who opted to reverse a decision by Apotheker and keep the company's PC business. However, Whitman did not change course on webOS, leaving the future of the mobile operating system in an uncertain state. Since HP decided to ax future webOS-based hardware, a number of potential buyers have been rumored, though a deal has not yet been made. Among those who were said to be considering a bid were Samsung and HTC, two of Apple's biggest competitors in the smartphone market. Both Samsung and HTC primarily build Android-based smartphones to compete with Apple's iPhone. But owning their own platform like webOS would allow either company to further differentiate themselves from other Android-powered devices, and to offer an integrated hardware-software solution that resembles Apple's strategy with iOS and Mac OS X.